There are very few residents in Cleveland who have not at some time, been attracted by this eminent landmark. Many thousands will have climbed to its summit. 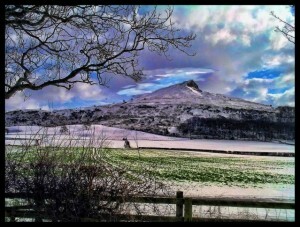 But how many realise what a remarkable history Roseberry Topping has? It has in turn been honoured and esteemed by people as their god of battle, used as a fortress, been a health resort, and been a source of speculation to the most learned men of ages. It has even been used as an exploratory station. During the centuries that have passed, this mountain has been known by several names, such as Rosebury, Oonsbury, Oynesbury and Othenburg. Rosebury is undoubtedly a name of British origin, denoting a fortified hill. It was so named of the British word Ross, a heath or common, and a Saxon word Bury, or Berg, a fortress. Oonsbury is a word of similar import from Oon, which signifies a hill. The word Top-Oon, which signifies a hill. The word Topping, which is frequently annexed, is evidently Danish, from Toppen, an appex od point, as descriptive of the peaked summit point, as descriptive of the peaked summit of the mountain which was at one period used as a beacon to give alarm to the people in case of invasion. Othenburg, the name which appears in ancient records, is conjectured to be derived from Othan, or Odin, which signifies fire, and by our Saxon ancestors esteemed and honoured as their god of battle, in the same way as the Romans honoured Mars. The earth, he believes, had a crust of stone, of an equal thickness; and fire, which was, and is still copiously diffused through the bowls of the earth, was the instrument of the divine will to break it; by which explosion, the mountains were produced, and thrown into its present figure and condition; this it was that infinite numbers of creatures from the sea were thrown up to the summit of the mountain. At various times petrified shells of oysters, cockles, etc., have been found on Roseberry, which from these findings, proves that they were suddenly brought and left there; for had the waters, at the deluge, covered these places and gradually ebbed off, the shell fish would naturally have followed the current and made their escape. 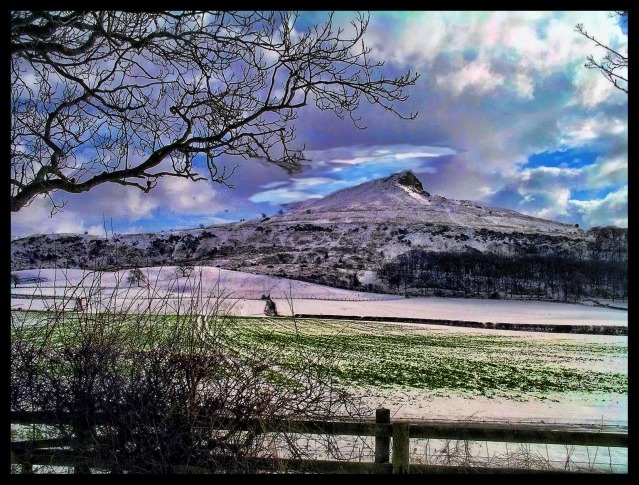 readers will agree that this is a very interesting problem connected with Roseberry Topping. A rather curious fact connected with these petrifications is that, those of the shell-fish variety are found nearest the earth, those of fish deeper, and those of trees, etc., deepest. 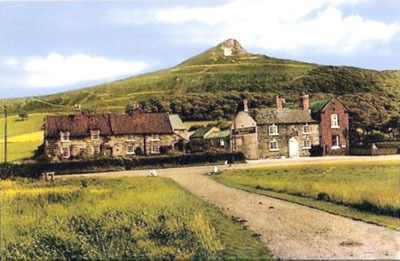 There seems to have been numerous wells and springs of the healing nature on Roseberry, for I find there was one called Chapel Well, which was at that period used as a summer resort. From the name of this well, it is most probable that there was a hermitage, or cell near, inhabited by some monk, or perhaps a few, who in those dark days of superstition, discovered the promulgated the virtues of its waters, which, even in more modern times were esteemed very efficacious in curing sickness. 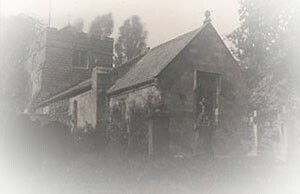 Of the town of Newton itself, it was an ancient chapelry under Ayton. The name literally signifies a new town or dwelling, of which same name there must be scores, no doubt the distinguishing under Roseberry being the reason. There was ancient manor here before the Conquest, held by Maghanec.